At Urban Sprawl Fitness your child will work with one the top coaches in the area! With our program your child will develop strength, speed, agility, mobility, and conditioning. All of the areas that are crucial to an athlete’s success. Our coach, John Matias, focuses on creating a fun and motivating atmosphere for the athlete’s involved in the program to ensure that everybody is engaged and doing their best. Whether your child is a beginner and is just starting out, or they are more advanced and years of experience, our program fits your needs and guarantees that they will leave our program a better athlete than before. Our goal for our athletes is for them to leave our program more confident in their abilities as an athlete and excited for the next season to come! In order to do this, we have created a program that follows a periodized progressive development model with regular testing periods to track their individual progress. Utilizing these different phases of training allows for the most optimal amount of growth to be made with our athlete’s. 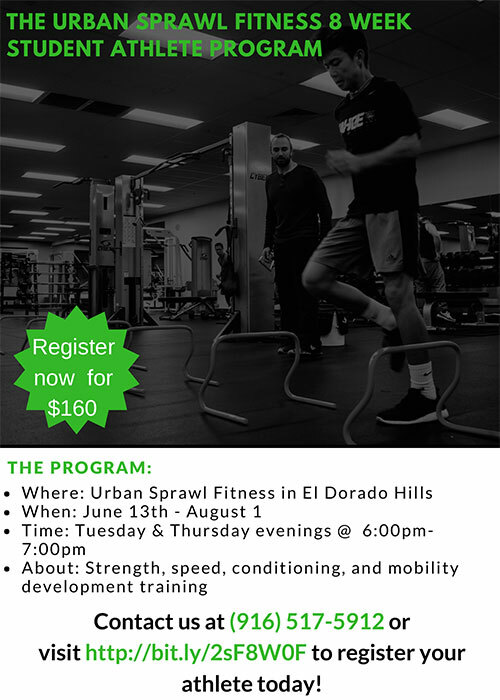 If you are looking for an all inclusive athlete development program that provides a real results for your child with a fun and positive environment, Urban Sprawl Fitness is the way to go! At X10 your child will work 1 on 1 with the top players/coaches in the country. Each summer we bring in a staff that is energetic, fun and are positive role models for your children. Whether your child is a beginner and has never picked up a stick or a more advanced player, our divisions will fit your needs. Our goal is for our campers to leave X10 Lacrosse Camp excited about the game of lacrosse and wanting to play more! In order to do this, we mix skill sessions with a variety of exciting competitions, games, and activities. It's not uncommon at X10 to be exploding watermelons with your shot or replacing lacrosse balls with water balloons. We play music throughout camp and keep it as lively as possible with prizes and giveaways each day. 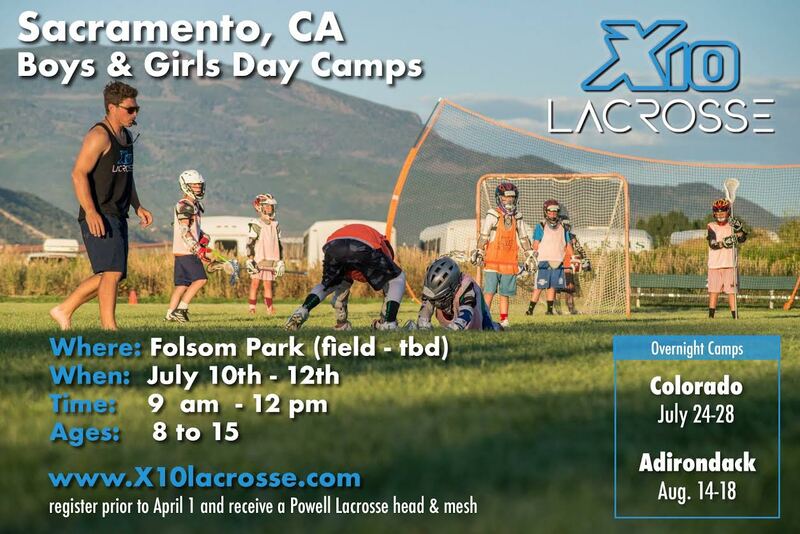 If you are looking for a camp that provides a diligent learning experience in a fun and positive environment X10 is the way to go! The AWL proven methodology focuses on proper technique, Lax IQ plus lots of awesome drills & games to reward hard work! Most Epic Day of the Year Award goes to the excursion at the Santa Cruz Beach & Boardwalk plus win “more cool stuff” during All West’s world famous raffle! 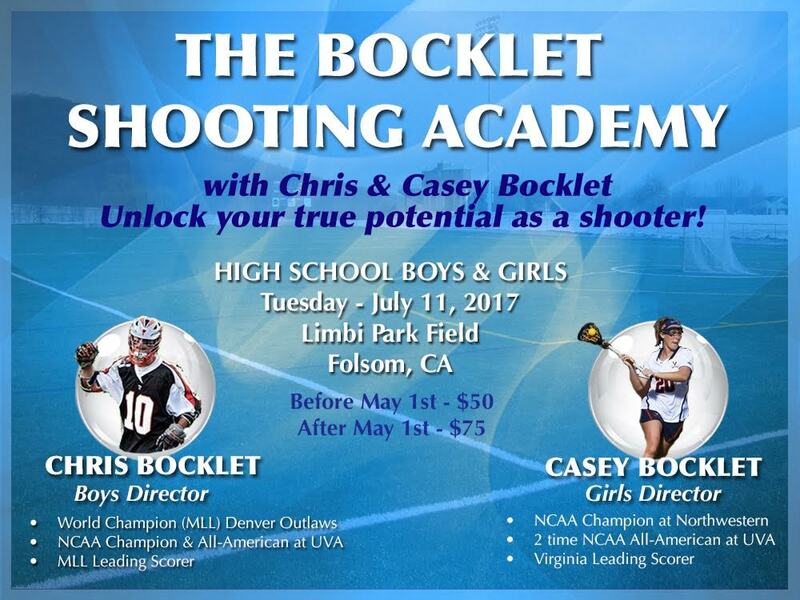 Booth Lacrosse Camps feature the perfect blend of instruction and fun. We use our comprehensive lacrosse training system to build a player's individual skills and lacrosse IQ. With 10+ years of experience training players on the finer points of the game, we have helped countless players reach their playing goals. Our camps feature high tempo, exciting drills and game play. Our goal is to make sure that every player on the field is engaged, involved, and having fun. The Tenacity Project offers girls lacrosse camps, clinics, and leagues in the Fall and Summer.